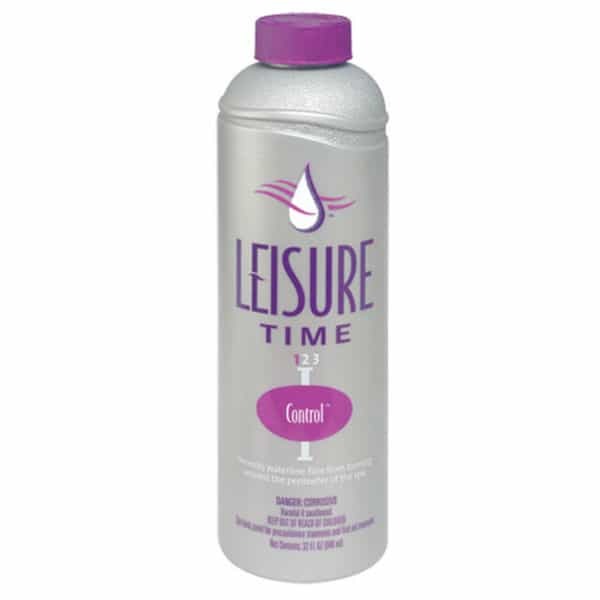 Leisure Time offers an expansive line of chemicals specifically engineered for the hot water found in spas and hot tubs. Family Leisure stays up to date with all of the Leisure time spa and hot tub chemicals, and we attempt to offer you guidance and assistance in choosing and applying your spa chemicals. The Control Emulsifier chemical by Leisure Time features a dual-action formula. It contains a sequestering agent that prevents stain, scale and film from building up in your water. The Control Emulsifier should be applied before chlorine and other sanitizers. It should be applied to spa water upon start up and for regular maintenance. When you use the proper preventative care, like care to prevent grime, film, stain and scale buildup, you prevent grave issues down the road that are costly in time and money. Should you reach out to us, Family Leisure is happy to offer extensive help with learning how to apply the Control chemical.